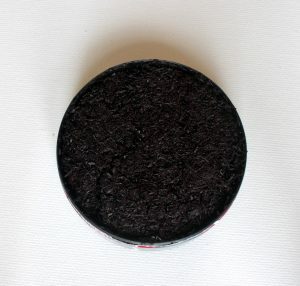 Newly released this fall season in October by the American Snuff Company, Grizzly Premium Dark Select is a long cut dipping tobacco with a straight flavor. 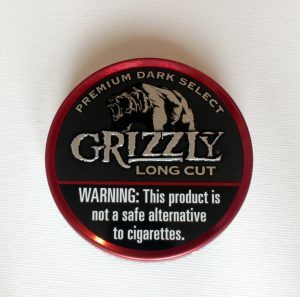 I’ve previously reviewed and enjoyed several types of Grizzly dips including Grizzly 1900 and Grizzly Dark Wintergreen, so I was pretty excited once my can of Premium Dark Select arrived! Every can of Premium Dark Select comes with 1.2 oz (34.02 grams) of long cut dipping tobacco. Soon after opening my can of Premium Dark Select, I was greeted with an aroma of smokey tobacco which was peppered with hints of sweetness. 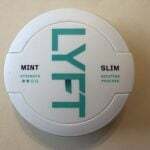 After taking a regular sized pinch, I soon began to notice a sweet tobacco taste which was contrasted by a slight spiciness that I found created an interesting mix. After about fifteen minutes of having a lip in, I started tasting a slightly salty flavor, and as time passed the sweet flavor diminished and was gradually replaced by a salty tobacco taste. The flavor began to drop off around the half hour mark which is when I usually took my pinches out. 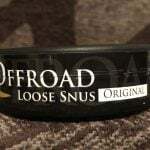 As the name implies, this is a long cut dip and the longer strands of tobacco make it easier to form a pinch and keep it together while dipping compared to the shorter cuts. 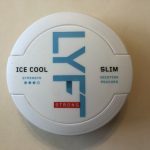 Within several minutes of having a pinch in, I started to notice a pleasant nicotine buzz which I would categorize as being medium strength in comparison to other brands I’ve had. On average, I generally left pinches in a little over half an hour, and they were fairly easy to remove due to the long cut. Overall, I must say that I really enjoyed Grizzly Premium Dark Select, and the flavor is especially tasty if you enjoy straight style dips. I found Premium Dark Select makes an excellent daily dip, and I found that it was great to throw in a lip after a nice coffee in the morning!